Yesterday I was minding my customary business on Blackberry Messenger (BBM) when a gay source who wanted to remain unidentified said, “Sizwe Dhlomo is dating my friends ex, from Live…” I was like LOL is he betting for the same team? Instead of answering he sent me a photograph of Warren B (right) from Tanzania a guy that apparently Sizwe has dated for a period of two (2) years. I would say if Sizwe didn’t go for Anonymous’ friend he would still be in the closet even now. The thing is that in the South African setting you can’t hide a thing about your sexual orientation. 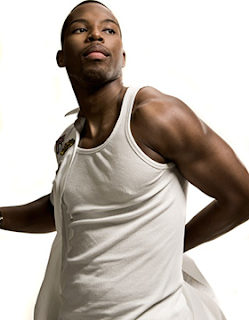 So now the question we should ask as his fans: Is Sizwe really gay? If he is, then what is wrong with that? Honestly there’s none wrong about him being gay because it is embedded in our constitution document that gays are welcome in Mzantsi. I am sure that the gay community will be more than welcome to give Sizwe a break to feel at home. Let’s not judge him. As I have said these are allegations and must be treated as such. Thatha Sizwe Thatha! Ayoooh Bangane Ayoooh!